Home of Shelties with Pizzazz!!! 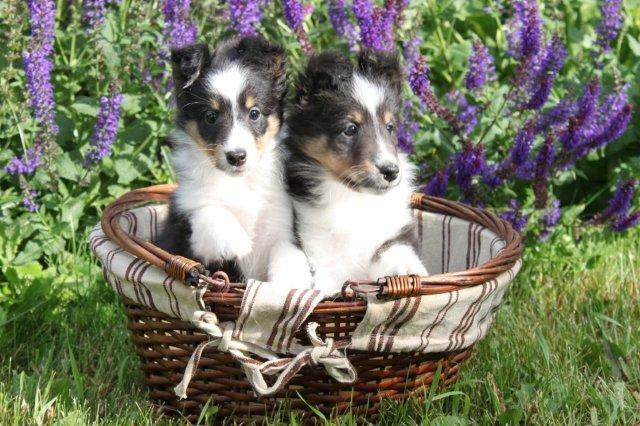 SpruceHollow Shelties is the home of Kerry Nemet and Brett Murray, and of course a number of fabulous Shelties! We believe in the whole dog - in Shelties which can perform in any arena - conformation, obedience, flyball, agility, or as an obedient and well behaved family pet. All SpruceHollow breeding stock comes from lines which have been tested for genetic problems, and this tradition of breeding only the best continues. We hope you enjoy your visit to our website, where you can meet our dogs and decide for yourself what makes SpruceHollow Shelties so Special! We currently have pupies available! These puppies have been started on their crate training and house training.